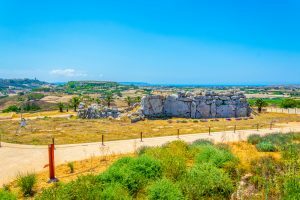 Malta has an incredibly rich culture and history which is believed to date back to 5200BC. Many settlers have left their mark on the Islands over time, and the population has had cultural influences from Phoenicians, Romans, Greeks, Normans, Sicilians, Swabians, Aragonese, Castilian, the Knights, and the British. 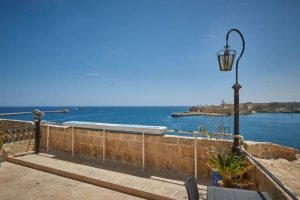 A result of this has lead to Malta having a rich culture and features many historic sites. The Malta Airport Foundation was set up in 2015 to invest and preserve the Maltese heritage. The foundation has started various initiatives, such as the restoration of the 17th century watchtower “Torri Xutu”. The tower is located in Zurrieq and was built by the Knights of St. John. It had fallen into disrepair and the €120,000 raised went to the much-needed renovation of the tower. The Malta Airport Foundation also focuses on improving the environment through initiatives such as ‘catch the drop’. Due to limited natural resources on the island, the initiative is aiming to raise awareness of wasteful habits regarding water consumption. Two brand-new documentaries were published to uncover the beauty of Comino and Filfla. Watch these journeys on land and below the surface of the crystal clear waters surrounding the Maltese Islands. Comino is the smallest of the three main Islands of Malta. It is truly a secret paradise and the popular Blue Lagoon is testament to it’s popularity. 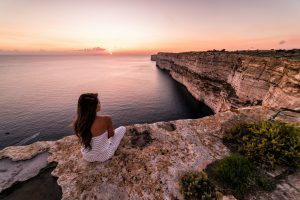 The documentary below offers a unique exploration of Comino. Filfla is a small islet of the southern coats of Malta. It was previously used for target shooting by the British military and navy but has since 1980 become a bird reserve and protected area.